I have long been drawn to the seventeenth century Old Master Still Life painters Giovanna Garzoni, Francisco de Zurbarán, and Adriaen Coorte. I am particularly fascinated by Zurbarán's mysterious use of dramatic light, Garzoni's masterful compositions and color palette, and Coorte's unique placements of objects. Seventeenth century Europe witnessed an explosion of interest in the natural world. Botanical encyclopedias from the period are records of the discoveries made on extensive explorations during this "Golden Age" of global trading. 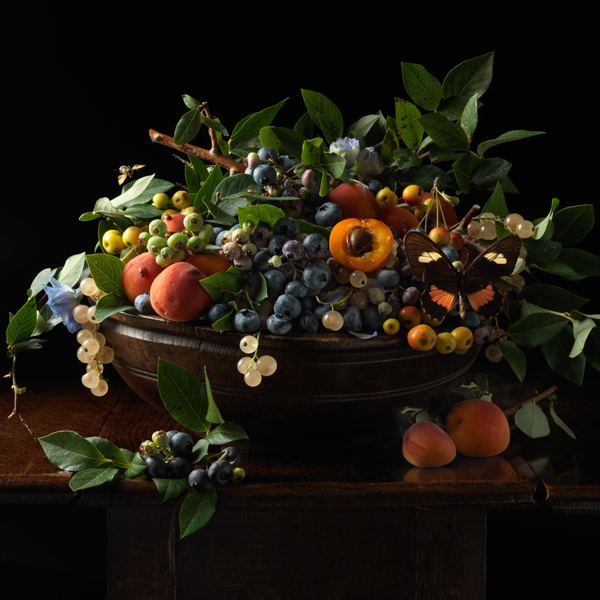 Still life painters incorporated shells, insects, exotic fruits, and flowers found abroad alongside Venetian glass and Chinese porcelain. Their vignettes served as a tribute to newly discovered corners of the world. Worldly in their composition, these paintings also speak to universal themes as relevant then as now: the fragility of life and love, fleeting beauty and tempus fugit, the swift passage of time. Standing in front of these paintings at The Metropolitan Art Museum in New York or The Rijksmuseum in Amsterdam, I am struck by their strong emotional resonance, their ability to transcend time and place. I imagine Coorte, Zurbarán, Garzoni, and their contemporaries as they gathered worldly treasures and guotidian objects to tell of newfound wealth, passion, and the inevitable passage of time. 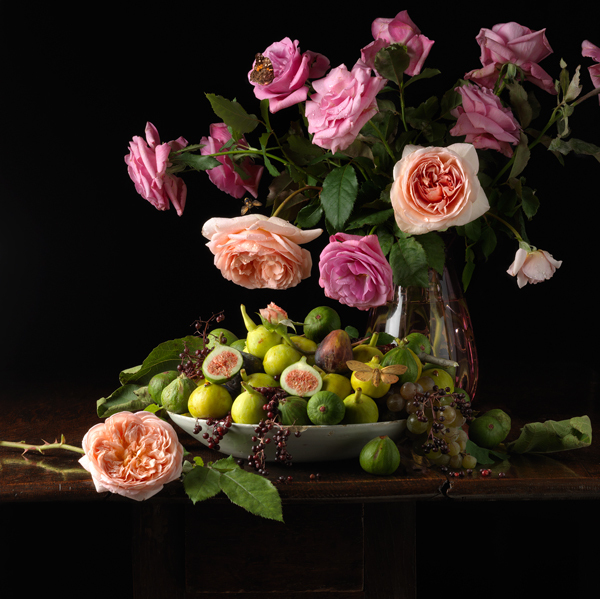 The essence of these paintings lingers with me as I gather my own flora, fauna, butterflies and treasured antiques to create the romantic vignettes within my photographs. The Natura Morta images I have made in response to the Old Masters are intensely personal interpretations of timeless, universal stories. Years from now, I hope that the photographs I create will affect someone as deeply as the Old Masters' paintings have affected me. In one of these paintings, the artist included the words "Eram Qvod Es." The translation resonates within me: "Once I was where you are now."